The remastered version of The Last of Us for PS4 is much more than your average ‘game of the year’ edition – this is the definitive version of what might be the best game to ever grace the PS3 platform, and currently the best that the PS4 has to offer. 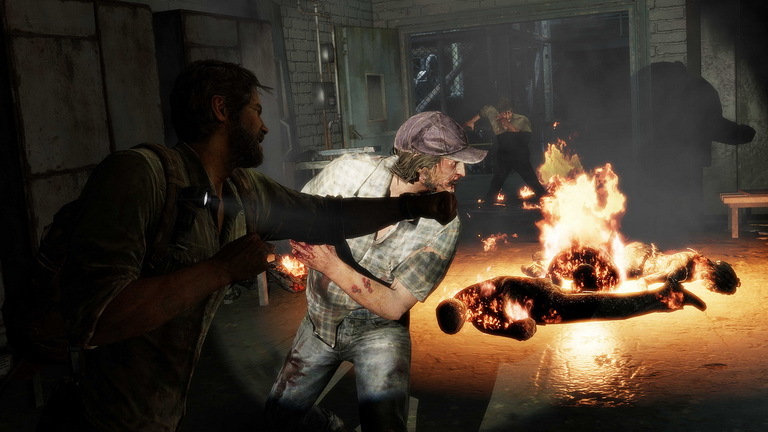 When Naughty Dog’s The Last of Us was released a little over a year ago, it was received with much fanfare as a near-perfect blend of action/adventure, survival horror and cinematic storytelling. This year’s DLC expansion Left Behind added additional depth to the experience and storyline, and now there’s a PS4 version that combines all the content currently available while adding an extra layer of audiovisual shine to the whole package. For those not aware of the premise that The Last of Us presents – it’s a story that revolves around an outbreak of a highly dangerous and contagious disease that has turned the world into a post-apocalyptic environment. Our main protagonists are Joel, a single father who lost his daughter early on in the outbreak, and Ellie – who might hold the key to developing a cure for the infection due to her apparant immunity. I won’t go into more detail in regards to the storyline here, as it’s well worth exploring on your own if you haven’t played the original game yet. What the remastered edition adds to that experience are 1080p visuals that play back at 60 frames per second, as well director commentary and the option to create your own screenshots using a ‘photo mode’. It’s worth noting that this option doesn’t just end with taking a snapshot of what’s currently going on – it also allows you to add filters and visual effects such as frames while the game is paused. It’s a true testament to Naughty Dog’s work that The Last of Us is the best game available on next gen consoles – nothing else on PS4 of Xbox One currently comes close. The only thing holding the game back is that none of the content is actually new and the PS3 version already looked better than many next gen games, but don’t let that keep you from getting this – especially if you’ve never played the original.